Card No. 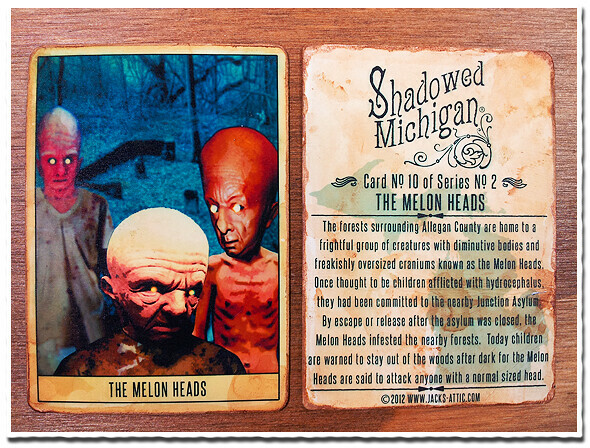 10: The Melon Heads Packs containing all 5 Series No. 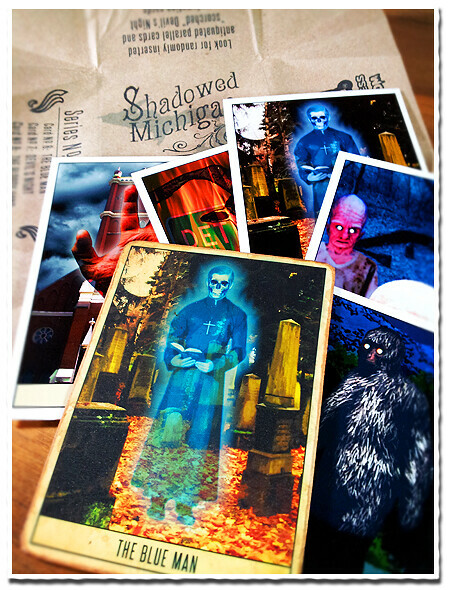 2 cards are now available in our Artfire Shop for $6. 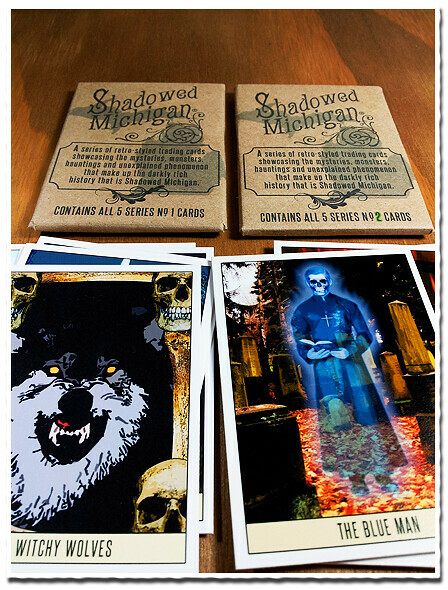 Also in our Artfire Shop look for the Shadowed Michigan Trading Card bundle. 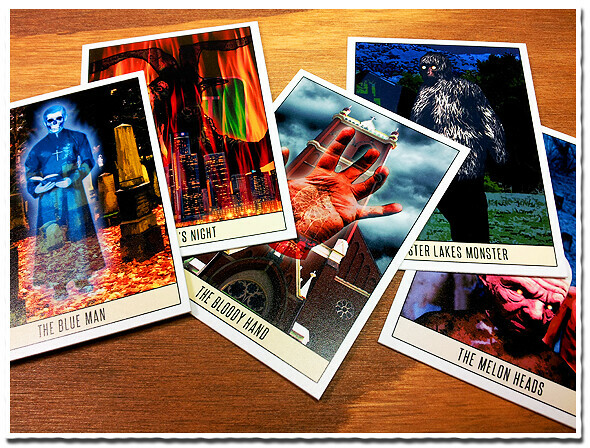 Get a pack containing all 5 Series No. 1 cards and a pack containing all 5 series No. 2 cards for $10 with FREE SHIPPING! 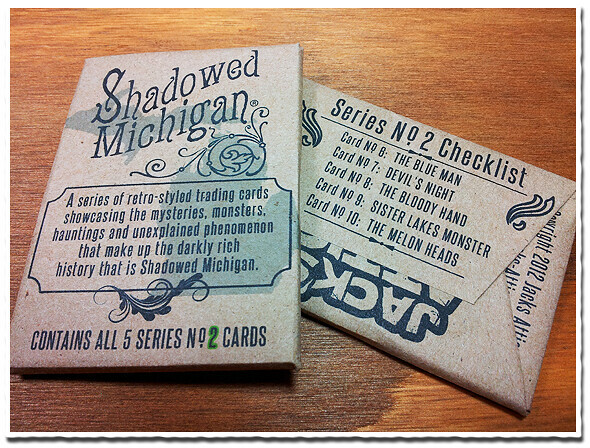 Look for randomly inserted antiquated parallel cards, aged to look decades old. 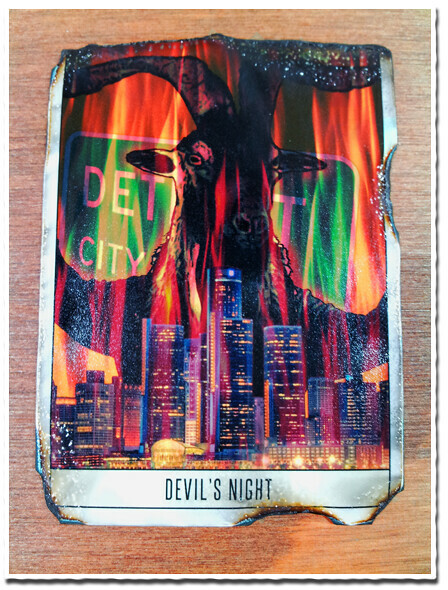 Also, be on the lookout for randomly inserted “scorched” Devil’s Night redemption cards. 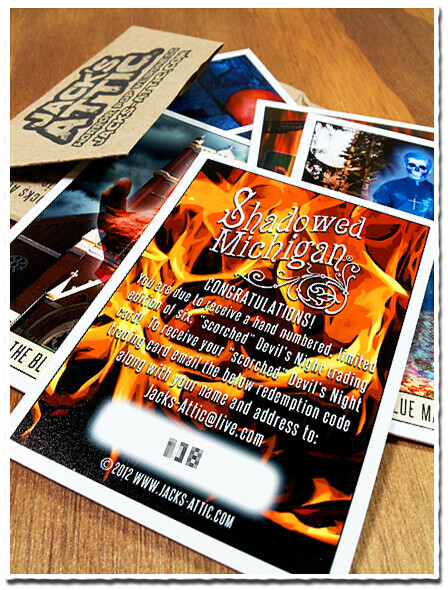 Find a redemption card, email us the code and we’ll send you a limited edition of six, hand numbered and signed “scorched” Devil’s Night trading card. 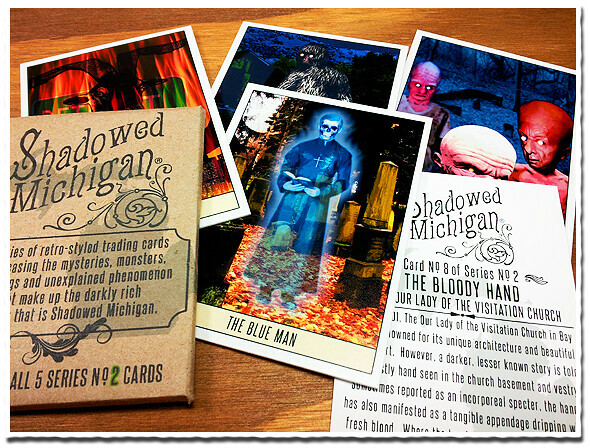 All cards come packaged in retro style wax packs.